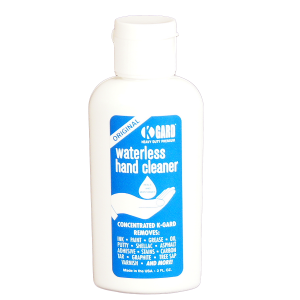 K-GARD Waterless Industrial Hand Cleaner has been exceeding customer expectations for nearly 50 years. Invented in 1965, the patented K-GARD formula is the work of a team of chemists that set out to create a high-quality product unlike anything else available. The combination of properties found in K-GARD remains unique to this day. K-GARD Waterless Industrial Hand Cleaner is a highly concentrated formula that removes oil, grease, paint, tar, tree sap, adhesives and a wide variety of other contaminants, all while moisturizing and healing the dry, cracked skin often suffered by individuals who work with their hands. K-GARD is used without water and remains effective in sub-zero temperatures, making it an ideal hand cleaner for individuals working in the field. 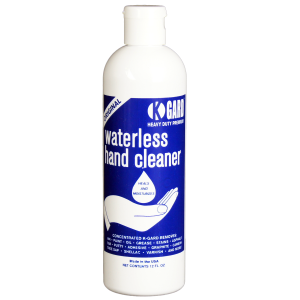 K-GARD Waterless Industrial Hand Cleaner is extremely concentrated and made from the highest quality ingredients. 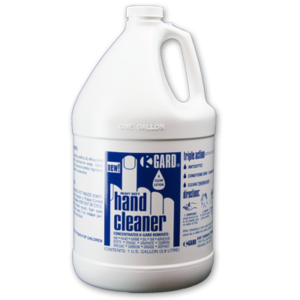 Because only a small amount is required to thoroughly clean the hands, K-GARD provides more value for your money when compared to ordinary industrial hand cleaners. 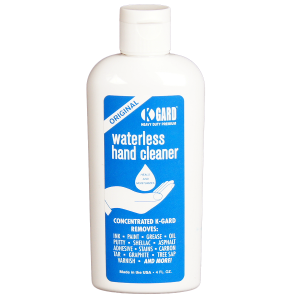 Join the group of people who have trusted their hands to K-GARD Waterless Industrial Hand Cleaner for nearly a half-century! K-GARD Waterless Industrial Hand Cleaner is easy to use: Apply a SMALL AMOUNT (penny-sized) onto DRY HANDS and work the cleaner into the debris, then simply wipe with a cloth or dry towel. It is not necessary to rinse with water. Triple Action – Soothes as it cleans! After cleaning a very small amount can be used as a lotion for extra protection.